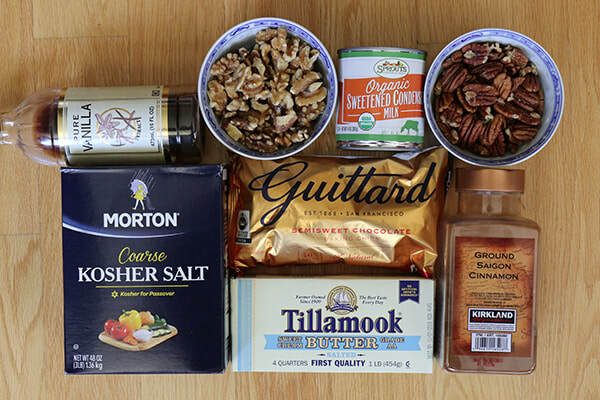 Just a few ingredients to make fudge. 2. 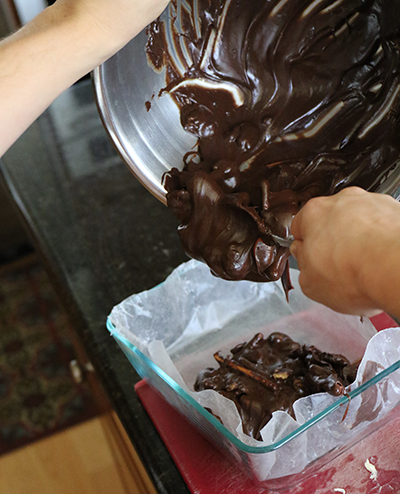 Begin to boil water in a small pot - you will use this as a "double boiler" to keep your chocolate mix at the right temperature. 2. Chop butter into rough 1/2 inch cubes - to speed up the melting. 3. 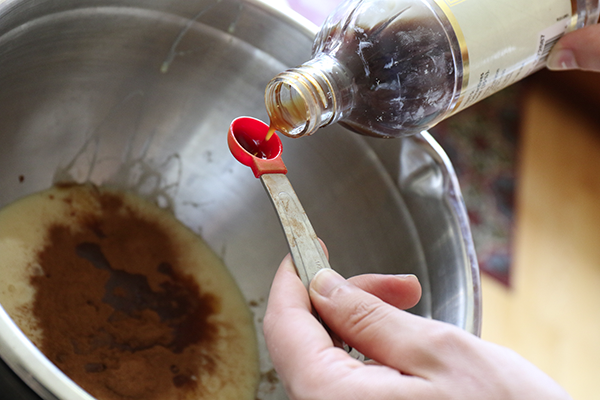 Combine sweetened condensed milk, butter, chocolate chips, cinnamon, and vanilla in a metal or glass bowl. 4. 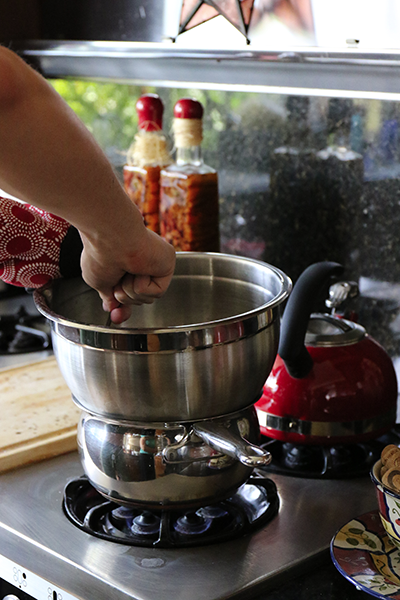 Once water on the stove is boiling gently, place bowl over the water and mix constantly until the ingredients are combined, melted and have a smooth consistency (it will be thick). 5. 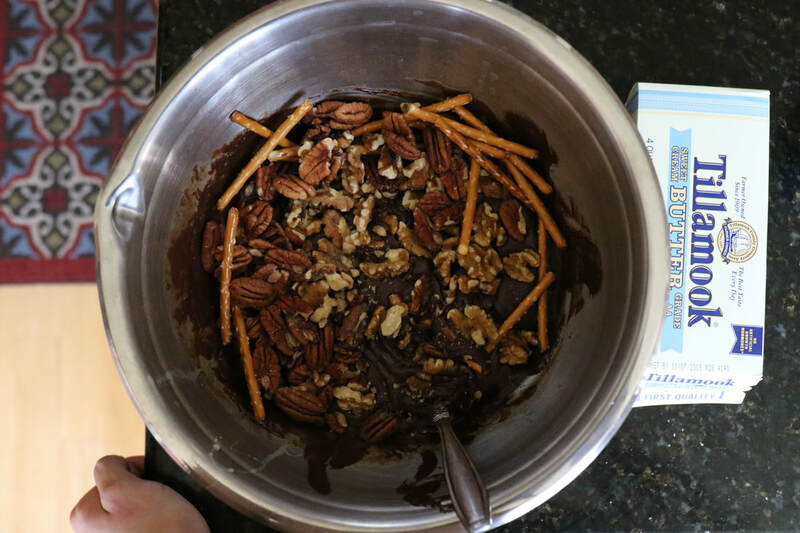 Remove bowl from heat and add in any desired mix ins and stir (in this batch we used around 3/4 cup pecans, 3/4 cup walnuts and 1/2 cup small pretzels). 6. Pour mixture into a shallow tray lined with wax paper - estimating in your choice of tray that the levels will be around 1/2 to 1 inch. 7. 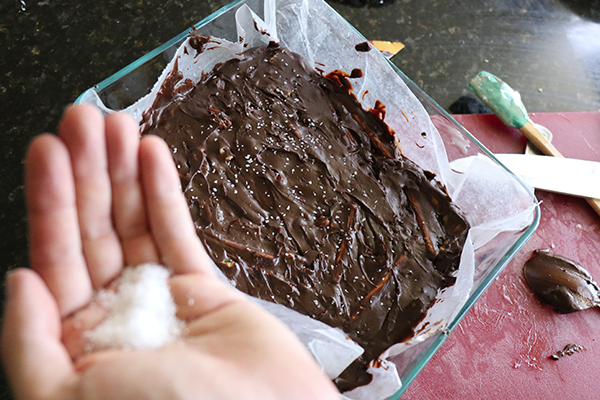 Sprinkle salt on top of mixture and move to fridge. Allow at least 2 hours to set - but best of left overnight. 8. 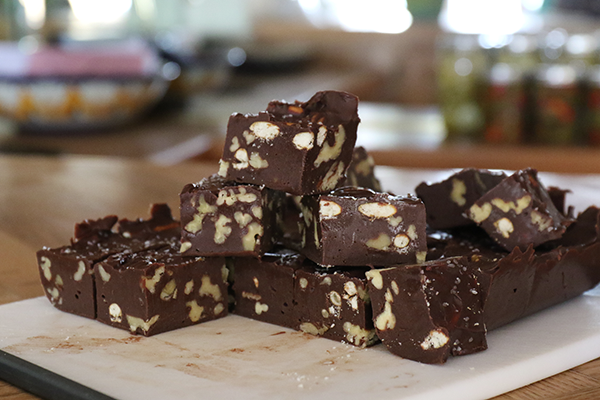 Chop into cubes and enjoy.